TIP GARDEN: Do You Remove the String/Net Bag on the Meat Before Cooking? Do You Remove the String/Net Bag on the Meat Before Cooking? 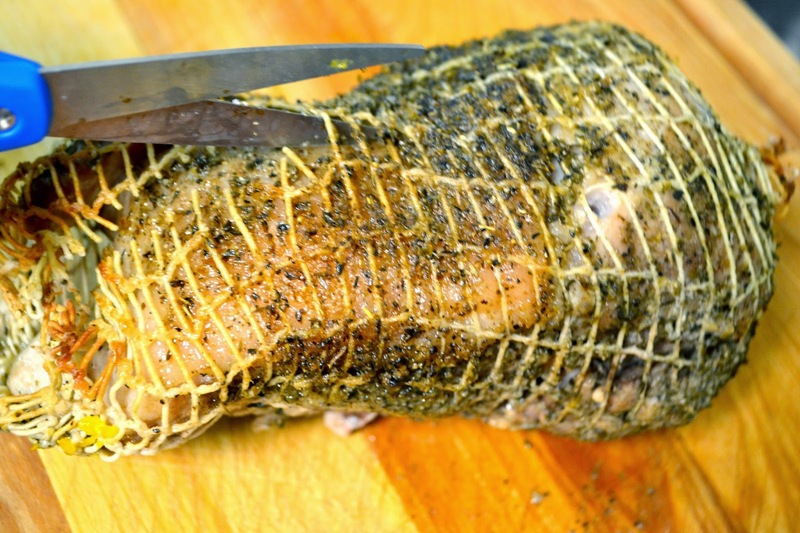 Have you ever wondered if you are supposed to remove the little cotton string net bag that comes on your pork, beef, or lamb roast before or after you cook it? The answer is...... either way! First lets clear one thing up: I am talking about those cotton string net bags, not the plastic ones. If your meat comes in a plastic net bag, you must remove those prior to cooking it. By the time you get it home you can't tell that. 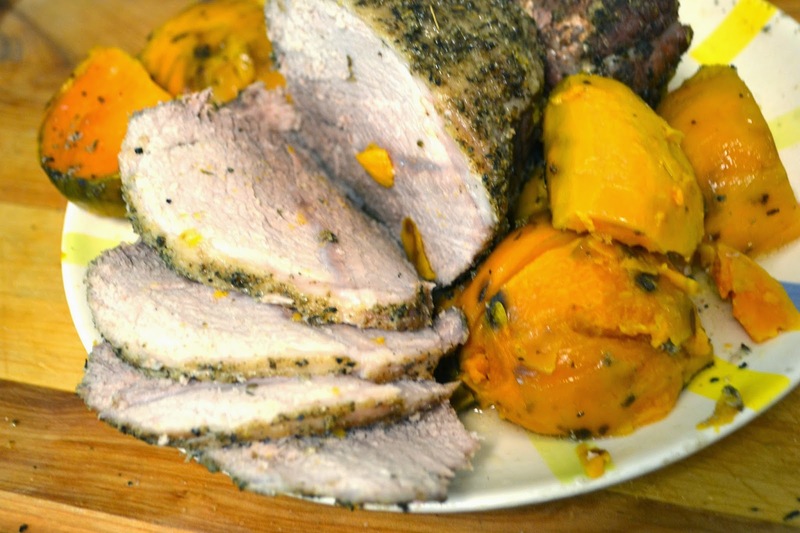 If you are just making a pot roast that will fall apart anyway you can take it off, but if you are hoping to "carve" the roast in front of guests you want to cook it in the bag. What about Leg of Lamb? On the other hand, leg of lamb often comes in a bag and some people choose to remove the bag and "butterfly the leg of lamb prior to cooking. Jan's trick: I can hear you now, saying: "But I HATE when you snip the bag off the cooked meat and it takes some of that delicious seasoned skin or crust with it!" Here is my tips for reducing that from happening. It won't prevent it all but will help ALOT! First: Loosen up the bag all the way around. 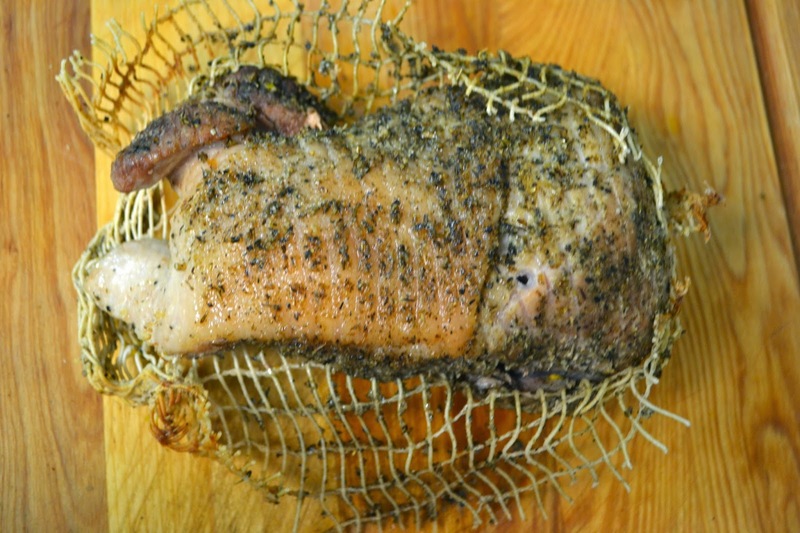 By the time you get the meat home to cook it, that mesh bag is pretty embedded into the roast. Just loosen the bag all over.. That will help quite a bit. I usually do this prior to adding any seasoning. Second: Use Non Stick Cooking Spray. While loosening the bag, spray the roast and mesh bag with non stick cooking spray. Just spray as you loosen the bag. That will also help reduce the amount of seasoning and meat that is stuck to the bag after it cooks. Proceed with seasoning and baking as desired. Do I Sear the meat with the bag on or off? When I sear the meat prior to putting in the oven, do I sear it with the bag on? : Again you certainly can, the cotton string can certainly hold up to being seared prior to being put in the oven. One option is to remove the bag, sear the meat and either put the meat back on, or tie the roast up with bakers twine in several places and not use the bag. What Can I do Instead of the Bag? If you want to remove the bag entirely, but are not sure if the meat will "fall apart" without it, I recommend peeling back a little of the bag from the front end and tie off the part of the roast with bakers twine before proceeding further. Pull back the middle of the bag, tie the middle of the roast with bakers twine,etc. That way by the time you pull the bag off the roast is still held together but is not completely covered in the bag. I took mine off by accident, will it affect the joint? I'm gonna leave mine on I'll let you know later. I'm putting mine in the crock pot... Slow cooking then I'll cut it off. Our puppy dog swallowed the whole of the twine off a piece of pork after it was cooked and is now in doggie hospital. They don't know if he will need an operation to remove the twine or not. I know it isn't toxic but will it dissolve in the stomach or not?